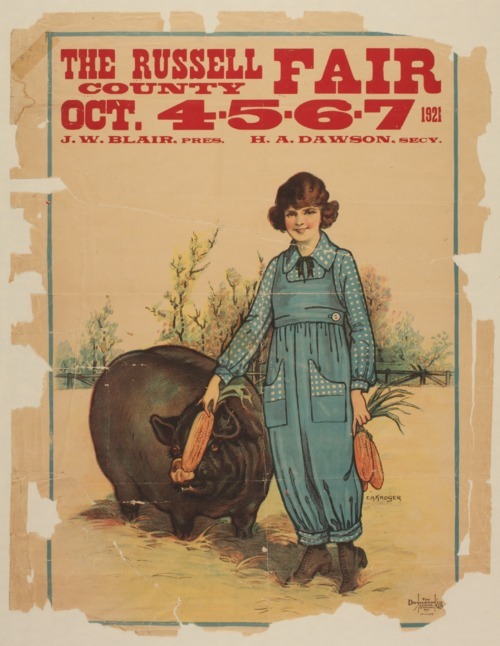 A young woman feeds her livestock corn on this Russell County fair poster. Fair officers are listed as J.W. Blair, president, and H.A. Dawson, secretary.